"This nanny search was so fast and efficient! I have been searching for the right nanny ever since I realized I was expecting and couldn't believe how hard it was! My stress related to hiring a nanny was enough to make me consider resigning my career! IThankfully my neighbor came to my rescue and recommended this agency & assured me that her Seattle nanny was found at ABC Nanny Source and she encouraged me to register. When I filled out the application with ABC Nanny Source, I was contacted the same day and I received an extensive profile for each recommended nanny within two days! I was completely studdened! I didn't even realize there were nannies in Seattle that had career nanny experience up to that point because everyone I met independantly was just a babysitter at best. I hired the perfect nanny for our precious baby and continue to be very grateful to ABC Nanny Source & wanted to express my appreciation to your team!!" Click Below to View some examples of Seattle Nannies in the ABC Network! Seattle Nanny Agency that Provides Quality Care You Can Trust! 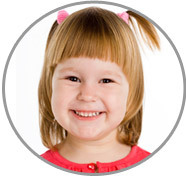 Matching Families with Career Nannies for over 15 Years! Choose the Perfect Nanny Today! 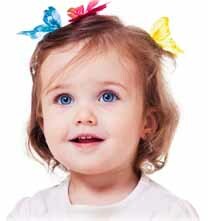 ABC Nanny Source is delighted to offer some of the most outstanding Nannies in the Seattle area. Our family owned and operated service has been founded by trusted and established specialists in the industry for well over a decade. ABC Nanny Source standards are easily seen by our extensive and thorough qualification process that entails a 10-step process for our professional Nannies to make the cut; empowering you to be selective in your choice that will leave your family smiling! Every parent deserves the comfort of knowing their children are safe, well cared for, and abundantly nurtured while they are putting forth their best efforts to raise a family in our busy world. That is why we commit ourselves to the excellence of providing dignified childcare with the utmost accomplished Nannies! We are unequaled in our techniques to narrow down the field to the right provider, giving you peace of mind. We hand select candidates that will implement education into the daily routine, nutritious meals and much, much more! ABC provides quality nanny candidates who are devoted to, and focused, on your family! Our 10-step process is an all-encompassing procedures covers the umbrella of their experience and characteristics – leaving us with the highest quality combination of references, credentials, demeanors, and sense of qualities! This grants you the ability to choose the absolute best fit, elite professional to walk into your home and start immediately! Our reputation relies on our ability to accomplish your goals in a timely matter – that’s why we narrow our selection down to 10% or less of our initial Seattle nanny applicants before you speak with them. ABC Nanny Source works behind the scenes and around the clock to provide the most quality customer service and highly credible nannies in the Seattle area. Under every circumstance, we ensure you the most well-suited nanny to your specifications! We do all of the work for you! We take pride in leaving you with an inspiring experience that guarantees your time is valued! ABC Nanny Source goes the length to provide a clear and simple official Offer of Employment to the candidate and you! We leave you with the peace of mind of a ONE YEAR GUARANTEE! We are positive in our efforts to provide you with the best in class in for the Seattle area! Please feel free, at any moment in your experience with us, to reach out with questions and one of our dedicated Placement Counselors will be right there with you to swiftly move forward on your journey finding the most outstanding nanny! We are highly experienced and concentrated on serving you! We service many areas in and around the city of seattle including: Downtown Seattle, Bainbridge, Bremerton, Tacoma, Lakewood, Kent, Renton, Lake Union, Bellevue, Redmond, Ballard, and Everett. Please contact us in order to connect with a Placement Counselor today to find your ideal Seattle Nanny right away! Seattle Nanny Nahi has wonderful experience to share with your family! ABC's Seattle Nanny Agency loves Lori's education mindset in everyday activities! Nanny in Seattle Madeline has an amazing love for children that everyone can see! ABC’s Nanny Agency in Seattle is proud to represent Danielle to your family! Your Seattle Nanny Job will love Maribel’s wonderful energy and dedication to working with children!